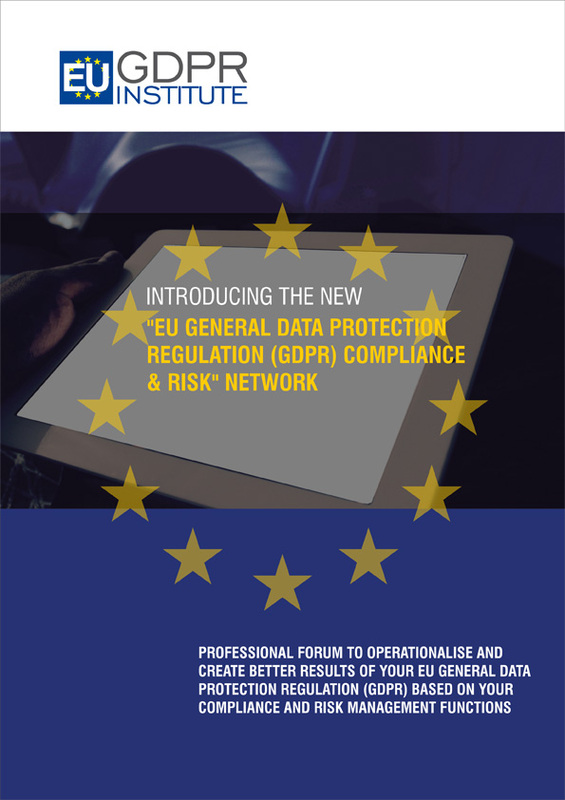 The EUGDPR Institute has formed alliances with several local partners who are specialist in the complete understanding of General Data Protection Regulations (GPDR), and the potential impact of the process changes, digitisation and cybersecurity issues that corporates can implement in accordance with the EU-GDPR guidelines. Based on our global seminars, workshops and conferences we are a uniquely qualified position to offer GDPR solutions to the market because we have a comprehensive understanding and recognition of the key and significant issues and how widespread changes will continue to affect your business. We have trained and certified a substantial number GDPR practitioners from Palo Alto in the USA to Shanghai in China. The GDPR network consists of DPOs, Controllers, Data Processors, Vendors, Legal Counsel, Consultants with wide-ranging and different profiles, backgrounds, challenges and concerns. The GDPR network opportunity will provide the holistic backdrop and continued updates so that the GDPR practitioner or your company can upskill internally to fully understand the new regulation while supporting you on your journey to becoming a fully compliant organisation. GDPR compliance and related regulations like the ePricacy, Privacy and Electronic Communications Regulations and other regulatory compliance can be tricky if the implementation is not well thought out in terms of authorising actions that a company can or cannot and figuring out exactly how to comply to each regulation in spite of the conflicts. At the network meetings we will also discuss and find solutions to the real financial consequences of GDPR, the consequences of non-compliance, how to protect sensitive data, network security perspectives, ensure data protection as a default setting across the network, Big Data to provide insight to consumer trends, specific networks, sub-networks, databases, and how applications collect and store certain types of sensitive data, how to map out where data is stored, iterations of segmentation, including micro-segmentation or even nano-segmentation and many more issues that will be decided by the participants of the network. Join the network today and find out the solutions to user-specific GDPR issues, ensure a state of continuous GDPR compliance, ensure documentation, updates on unified GDPR security policies and exposure and more. The GDPR Network is a global community of privacy and security professionals focused on tools and best practices to implement global privacy laws in practice, specifically on GDPR, Cyber and IT-Security, and other relevant Data protection and Data privacy mandates e.g. PECR, ePrivacy, NIS directive, the CCPA and more. The networks meetings are conducted in-person with topical and timely events, for the local community of practitioners to connect, share experiences, and learn the latest regulatory requirements and how to implementation best practices based on the discussions. The agenda for each event, will be made of the attendee's Choice Content together with regular topics that include issues, guidance, updates, enforcements, and challenges on The Global Privacy Landscape on CCPA, GDPR, ePrivacy, and expert presentations. Tapas and wine will be served after each event. (Contact us if you wish to establish a local chapter. We will provide content, titles, web, e-mailers, potential participants, sales and marketing support.